As if Mitt Romney’s repeated promise to veto the DREAM Act wasn’t alienating enough, advocates warn that Romney’s continued relationship with famed anti-immigrant hawk Kris Kobach is killing future support from Latino voters, especially in key states like New Mexico, Nevada, Colorado and Florida. Kobach, co-author of Arizona and Alabama’s extreme immigration enforcement laws, appeared in South Carolina Monday night to spin for the Romney campaign following the GOP debate. Following Kobach’s endorsement of Gov. Mitt Romney last week, the Romney campaign issued a statement accepting Kobach’s endorsement and supporting his leadership on extreme immigration enforcement last in Arizona and South Carolina. Now, however, with Kobach actually appearing on Romney’s campaign trail, advocates say Kobach will damage Romney’s image among Latino voters. Dee Dee Garcia Blase of the grassroots Republican Latino group Somos Republicans said “Romney committed political suicide” when he welcomed Kobach’s endorsement. Outspoken immigration advocate Congressman Luis Gutierrez (D-IL) called Kobach’s affiliation with the Romney campaign “appalling” and characterized Kobach as the “Dark Lord of the anti-immigration movement” on a teleconference. And earlier this month, Hispanic Leadership Fund’s Mario Lopez said Romney’s approach to immigration was hurting him as a candidate and the Republican party in general. As previously reported by the Southern Poverty Law Center, Kris Kobach has built a long and varied career out of attacking immigrants—first in the Bush Administration targeting legal immigrants from Muslim and Arab countries and later as the architect of city ordinances and state laws targeting unauthorized, mostly Latino immigrants. Appearing tough on immigration may not hurt Romney during the GOP primary, but come general election time, many wonder how Romney plans to win the Latino vote. 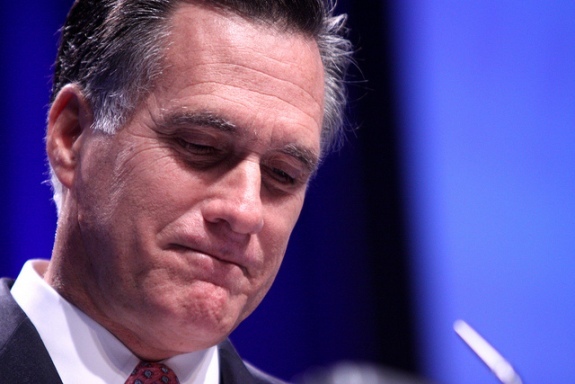 Matt Barreto of the University of Washington said that Romney will not win the presidency without at least 40% of the Latino vote, a vote Congressman Luis Gutierrez believes Romney will not receive given his current approach to immigration. When it comes to immigration, American voters have established that they want solutions not smears. Politicians, however, continue to read from a different playbook written by a narrow group of voters and commentators.